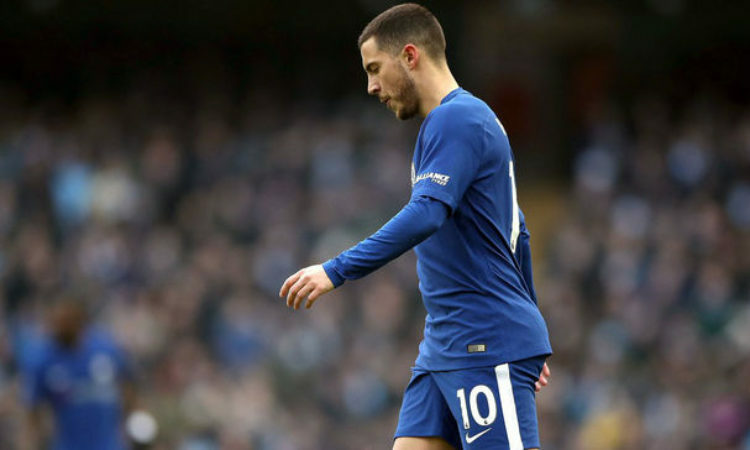 Real Madrid’s eagerness to sign Chelsea playmaker Eden Hazard has no limit, as the Los Blancos are reportedly ready to offer Isco and Matteo Kovacic in a deal to sign the Belgian international. According to Spanish handle Onda Cero, as quoted by Metro the reigning UEFA Champions league winner are frontrunners in the race for the 28yr old Chelsea playmaker. The same article states that the Madrid based football outfit is willing to test Chelsea’s resolve by offering Spaniard Isco and Croatian midfielder Kovacic in a swap deal for the Belgium international. The same report, however states that the Los Blancos are hoping that their latest bid will be the straw that will break the back of the London club. Hazard netted a brace on boxing day as Chelsea defeated London side Watford are Vicarage road to move two points clear of fifth place Arsenal. The former Lille footballer has 18 months left to run on his current Chelsea FC deal to raise question about his long term commitment to the West London side. Hazard moved to Chelsea FC in a big money deal from Ligue 1 side Lille in the 2012 summer transfer window despite being linked with Manchester City and Manchester United. The Blues will take on London rivals Crystal Palace at Selhurst Park on Sunday afternoon.